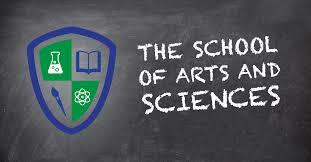 The School of Arts and Sciences, at 3208 Thomasville Rd, Tallahassee, FL is seeking applications for a Kindergarten-8th grade Art Teacher to teach in a multi-aged classroom. Applicants should be able to plan and execute rigorous, teacher created, hands-on thematic and project based lessons. They will also implement and support instruction and assessment practices for a diverse group of students that reflect the Florida Standards and the principles of their Charter. Also, they will work collaboratively with a diverse group of school colleagues, parents, community members and others to support and implement the goals of the school. Portfolio assessment experience. Salary and benefits commensurate with education and experience; eligible for benefits. If interested, please submit a resume and cover letter with SAST ART TEACHER in the subject line by May 11, 2018 to Eirin Lombardo, Principal at lombardoe@leonschools.net.